This very evocative picture is a 1940s Varga pin-up girl centrefold from the American magazine Esquire. It depicts a reclining flame haired female in a citrus yellow bathing suit with a deck of cards spread out on either side. There is a poem in the top right hand side of the centrefold entitled "Curves are Trumps". 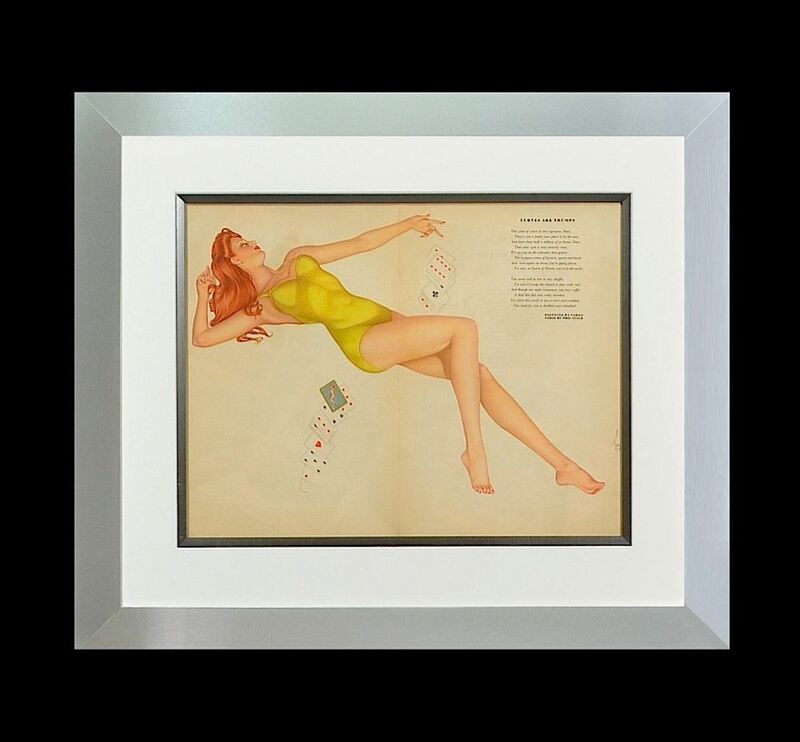 We have framed this in a silver tone slip, with an outer cream mount and chrome frame.